Dr. Matkin-Rawn earned her doctorate at the University of Wisconsin-Madison, specializing in Southern and African American history, twentieth-century U.S., and the history of education. 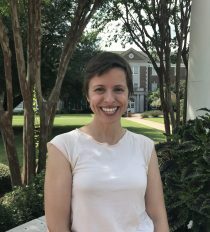 Her research interests include labor history and economic development in the South, the civil rights movement and massive resistance, school desegregation, and grassroots conservative movements. She teaches Arkansas history, Southern history, historical methods, and courses on race in modern America.